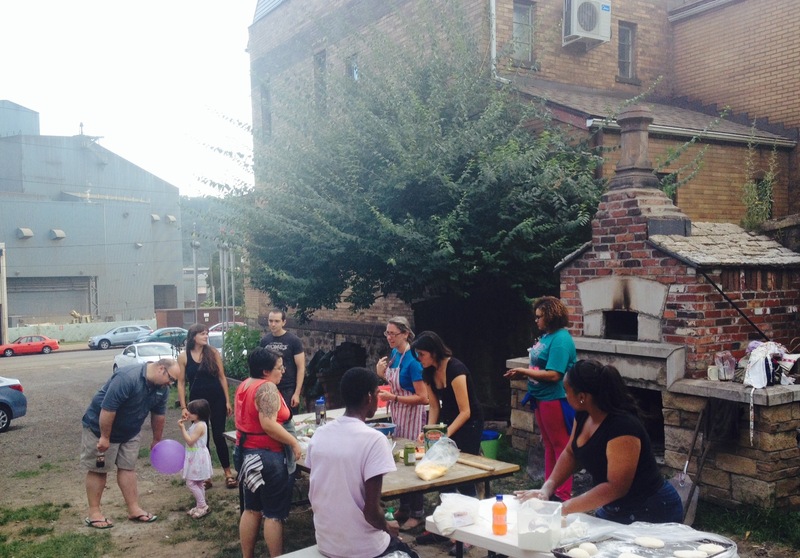 July 25th: Pizza making with BYP at the opening of Carnival Part Deux at UnSmoke Systems. The Braddock Youth Project made pizzas for around 200 people in just three hours! The pizzas were free but many people left donations that will go towards the new community oven. Lindsay and Sarah prepped all the dough and ingredients and then we stepped back and watched BYP work their magic. Tamiya rolled out sourdough pies. Tae and John topped like pros. Shannon loaded the oven while Javon and Isaiah acted as quality control and pizza delivery guys! It was a fantastic night.